During last three years, companies operating in the Permian basin have drilled much longer laterals and used substantially more complex well completion design in their newer wells with the aim of reaching higher initial production (IP) rates. Well lateral lengths in the Permian have increased in average by more than 1,500 feet (ft) since 2016 to approximately 7,500ft by the end of 2017. 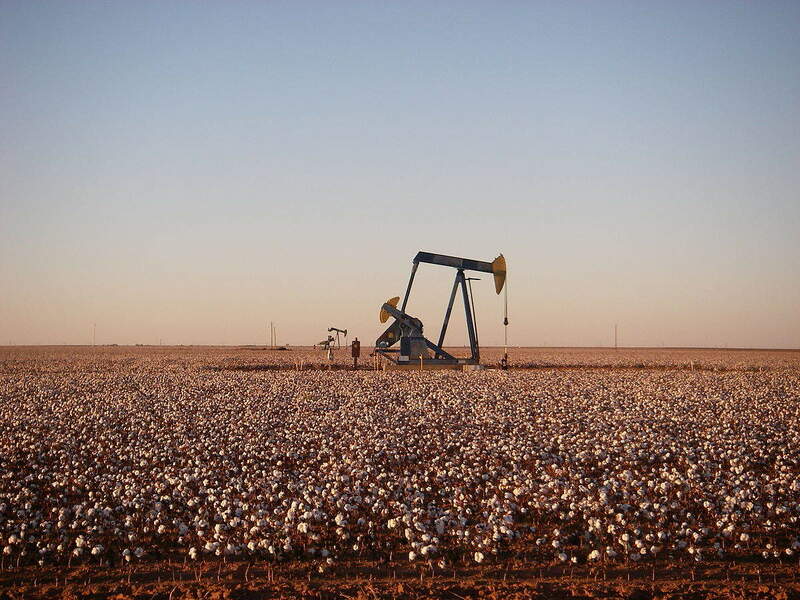 An analysis of recent wells for 26 operators in the Permian basin indicates a break-even oil price range from $21 to $48 per barrel with lateral lengths ranging from 4,500ft to 10,500ft. Currently, five Permian operators, EOG Resources, XTO Energy, Pioneer Natural Resources, Concho Resources, and Chevron have the lowest oil break-even price. For these operators, well lateral lengths vary from 7,560ft to 10,500ft with an oil break-even price for their most representative type well of less than US$26 per barrel. The estimated ultimate recovery (EUR) for such wells exceed 1,000 million barrels of oil equivalent (mmboe) and their IP rate is in the range of 1,260 barrels of oil equivalent per day (boed) and 1,917boed. However, longer laterals do not necessarily translate into high productivity. For instance, QEP Resources has an average lateral length of around 7,200ft, but an IP rate of around 730boed. By contrast, the wells drilled by EOG have approximately the same length, 7,560ft, but yield twice higher initial rates. 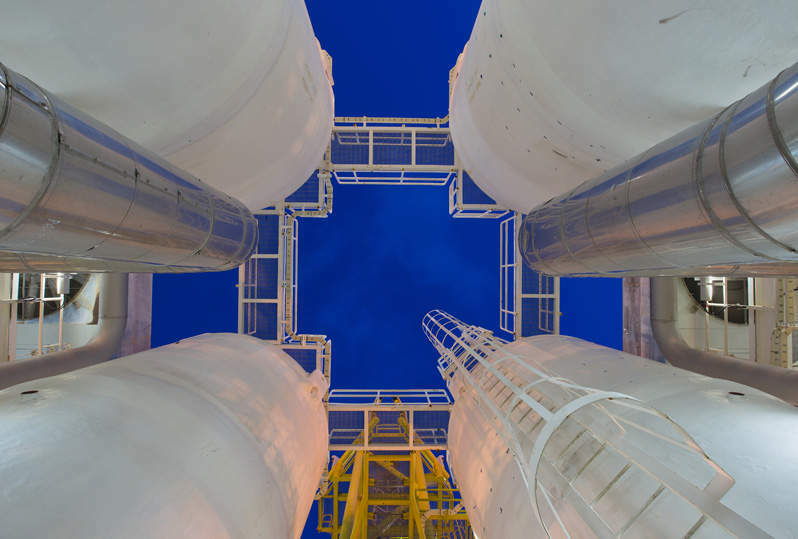 The reason for such a difference is generally related to a completion design incorporating more fracturing stages and the amount of proppant injected. Recent wells drilled by EOG have approximately 2,400 pounds (lbs) of proppant injected per lateral foot, while QEP used 1,300lbs of various type proppant per lateral foot. 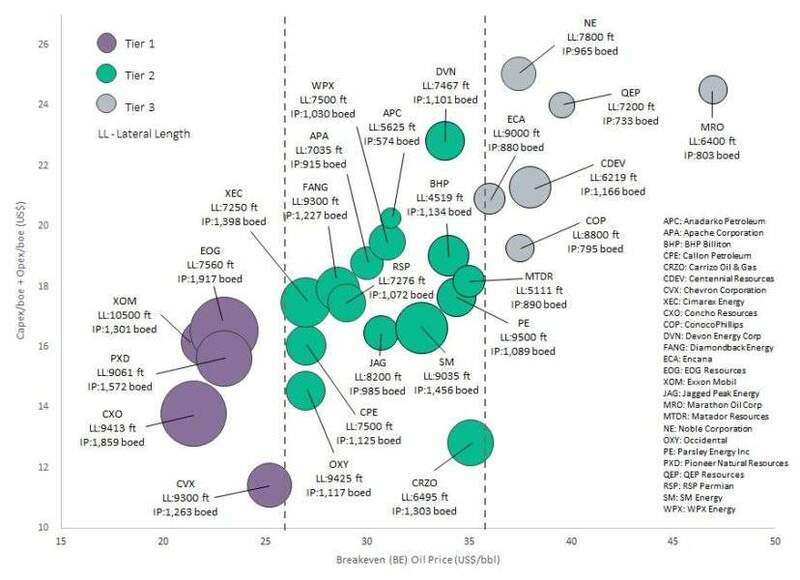 All 26 operators included in this analysis have new wells that break even below a price of $50 per barrel. Nonetheless, some operators evidence the possibility of reaching even higher well returns with break-even values below $25 per barrel (figure below).